Fava & Roberts from Saving India’s Tigers on Vimeo. Harsh & Poonam from Saving India’s Tigers on Vimeo. 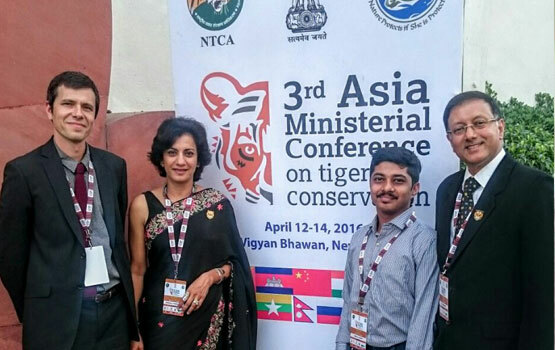 Saving Wild Tigers has a number of initiative programmes running continuously across the landscape. These have been developed over time to ensure we have at least one programme addressing each of the primary threats and that we cover all the key parks – this way we can ensure best practice is transferred across the region. 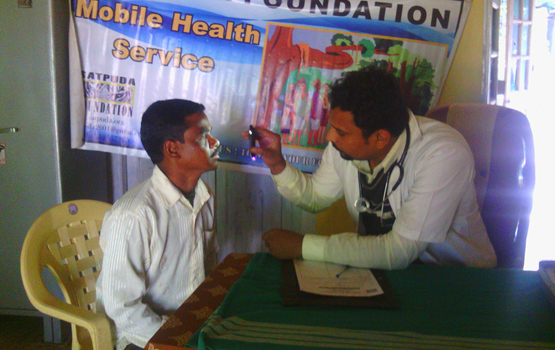 SIT runs a Mobile Health Unit through the Nature Conservation Society Amravati and has been operating since the outset of SIT. The unit is a well-equipped ambulance, crewed by volunteer and dedicated doctors working together with a health assistant. 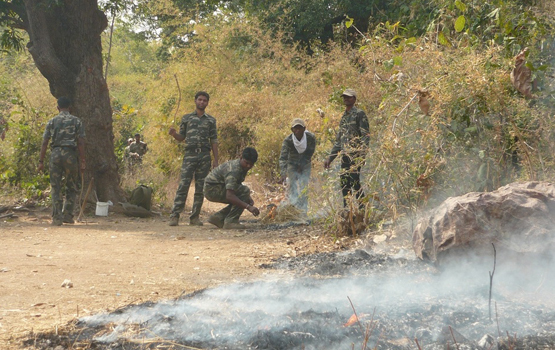 The unit operates in over 150 villages in 6 Tigers Reserves in the SIT Satpuda range; Melghat, Tadoba-Andhari, Pench (Maharashtra), Piyadarshini Pench (Madhya Pradesh), Navegaon-Nagzira (MS) and Satpuda Tiger Reserve (Madhya Pradesh). The villages are selected in consultation with the management of each Tiger Reserve and comprise those villages where the Tiger Reserve authority feels it requires outside support in winning trust of local communities. 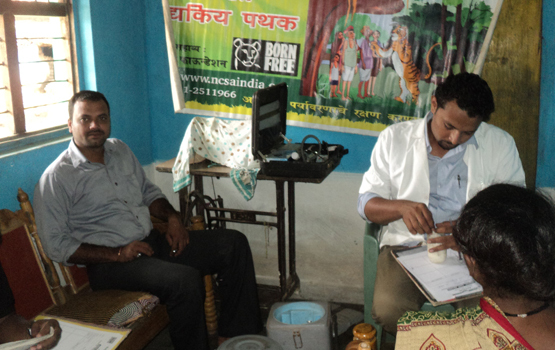 The unit dispenses basic medicines and health solutions for villagers and the opportunity is taken to stress the linkage between the provision of this healthcare and the responsibility local villagers have towards the protection of the forests and the tiger. 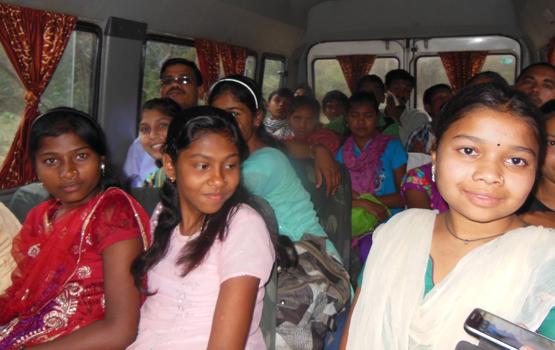 In 2005, SIT through BNHS started the Mobile Environmental Education Unit (MEEU), as a part of the Stadpuda Landscape Tiger Programme (SLTP). 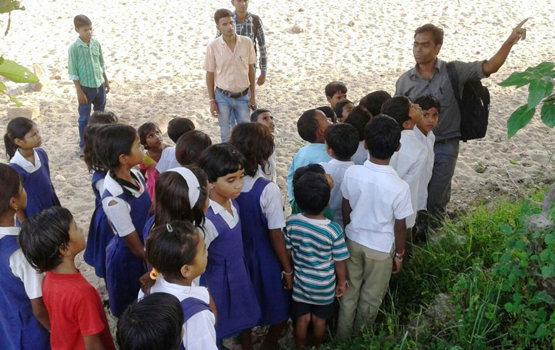 It is a landscape‐level conservation educational programme educating people in the local villages. The programme is supported by Born Free Foundation, Tata Steel, Wild Cru, Oxford University, Share and Care Foundation, Van Neste Foundation and some individual donors. 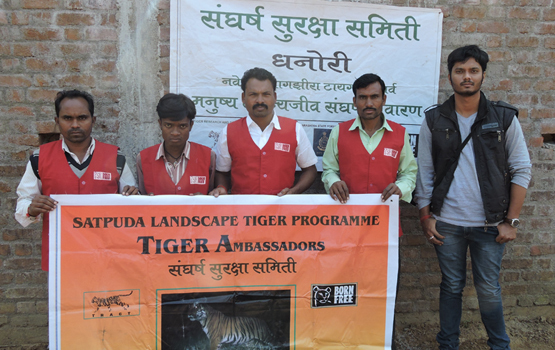 The purpose of the programme is to address tiger conservation issues in the numerous villages surrounding Satpuda Landscape encompassing 10 tiger reserves and several sanctuaries. 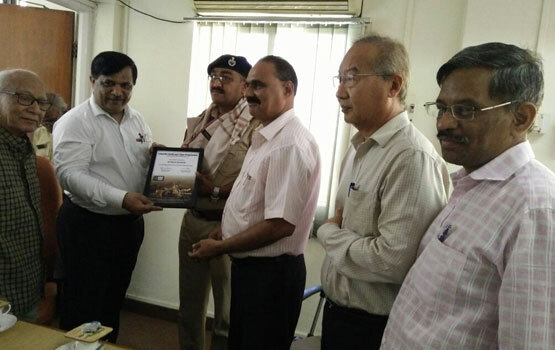 Initially the MEEU was working in villages surrounding three protected areas; Tadoba Andhari Tiger Reserve and Pench Tiger Reserve (Maharashtraand Madhya Pradesh divisions) and has recently expanded its operation to tiger reserves of Bor, Nagzira ‐ Navegaon and Kanha. 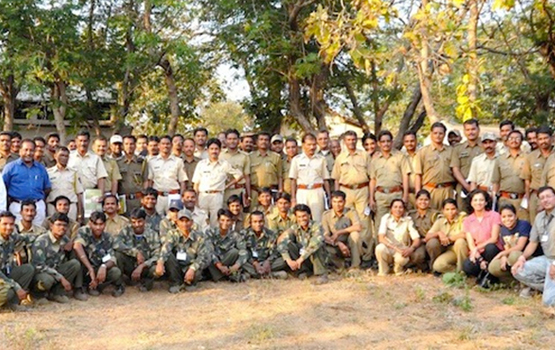 In all these protected areas, the work is undertaken through two mobile education units and is involved in generating people’s support for tiger conservation through creating environmental awareness amongst the local communities in the villages in the fringes of the protected areas and empowering and engaging women’s groups in natural resource conservation. The MEEU also is involved in organising sustained and long-term training and capacity building programmes for students, teachers, youngsters, women, field staff of forest department and tour guides to developing deep understanding about the value of forests. The initiative provides good linkages between SIT partners, local communities and government departments. As part of efforts to relocate willing communities from sensitive areas in the Satpuda landscape, SIT, through CAT and Satpuda Foundation, actively assisted the Forest Department by holding meetings with a number of villages regarding their relocation, as well as facilitating a meeting with a village which has already undergone relocation, providing a valuable opportunity for information exchange. Initially three villages were relocated with SIT involved and there are active discussions ongoing about the re-location of a further 5. To date the re-settlement programmes have worked well and the re-located villagers have been happy with the process which aids persuasion of other villages to re-locate. SIT is involved in some energy-related programmes aimed at reducing deforestation which occurs as villagers enter the forest to fetch firewood to burn in their domestic stoves. SIT has facilitated and directly managed the installation of around 800 BioGas cookers which captures and use the methane generated from cow dung as a source of fuel. In addition SIT has helped install solar-powered lighting in some villages that have no access to electricity – this power can also be used to re-charge mobile phones which enables village people to pursue their business. Read more about another local energy initiative here. Increased protection has resulted in a rise in wild life numbers, which in turn has seen an increase in the dispersal of animals beyond the core boundaries into the peripheral forests. Presence of wild animals near villages and fields has resulted in conflict between wild animals and livestock, wild ungulates and people and some attacks on people. Added to this is the pressure of the increasing human population along the forest periphery and overlap of natural resources by wildlife and people. SIT through TRACT has commenced a program ‘Tiger Ambassadors’ on the concept of local participation for conservation, to address the management of this conflict by sensitizing and educating the local communities living in the periphery of these areas and making them responsible for minimizing conflict. 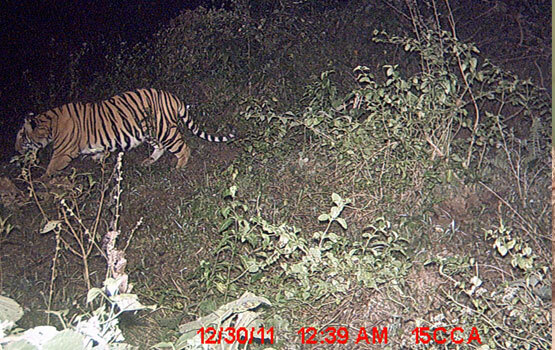 The 175 Tiger Ambassadors are expected to monitor the presence of tigers, leopards or sloth bear near their village, and if this seems like a threat, they have to share the information with their community to ensure that measures are taken to secure people and to reduce any chances of attacks. In a conflict situation, these Tiger Ambassadors will be armed with information about their immediate response within the first few hours of the attack or event, to ensure that the situation does not go out of hand, there are no attacks, and there is no mob situation or crowding. This will facilitate the government rescue teams with the required follow-up. As the core areas produce more tigers these eventually disperse in to the non-protected buffer zone areas surrounding the parks which can be highly populated and hence the likelihood of human-tiger conflict is increased. SIT has started to experiment in Taroba park to promote tourism in these areas to give tourists a fresh experience to widen their understanding of the issue involved in these local villages. Tours are arranged to see wildlife in new areas and the opportunity for tourists to have a more personal experience such as watching a water hole at night or sleeping out in a tree to observe night wildlife activity is proving highly popular. These activities would not be allowed in the core areas and they provide useful tourism revenues for local villagers with the result that they see the tiger as an asset rather than a liability and a threat. 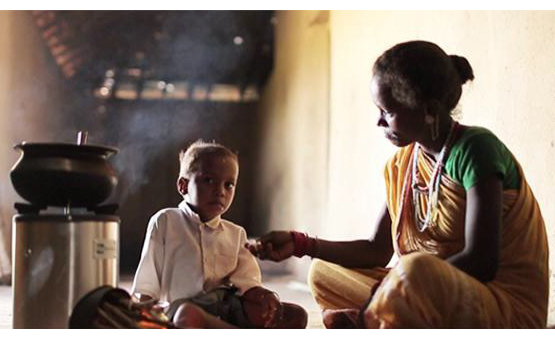 A school from Pawani (Pench MS periphery) was selected for the e-Mammal project. e-Mammal is a Citizen Science-based project in collaboration with the Smithsonian Institute that uses camera traps to document animal population sizes, activation patterns, and habitat use. Under this proposal, the North Carolina Museum of Natural Sciences (US), the Bombay Natural History Society and the Museo de Paleontología ( Mexico) had worked together to engage children and their teachers also for generating data for scientists in each of these respective countries. 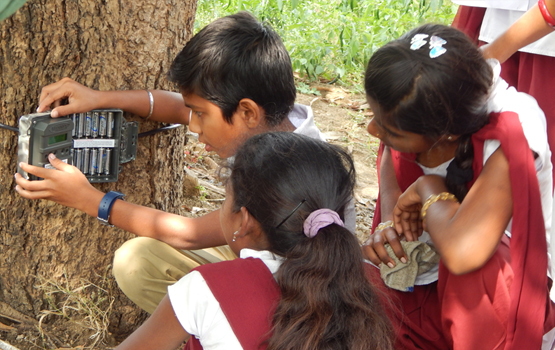 With the help of students and a teacher, SIT through BNHS deployed 3 camera traps in Mansingdeo Sanctuary with the help of forest department. This took place between January and June 2015. 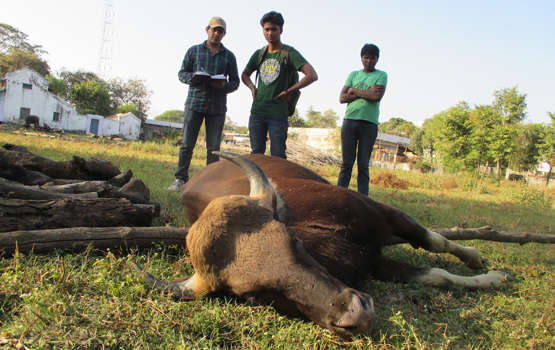 In this period students got excellent results of camera traps. There were snaps of Tigers, Leopards, Wild dogs, Rattles, Civets, Porcupine and other wild animals captured in the traps. SIT have been working through TRACT and TCF to assist the management in deploying camera traps to monitor some tigers in the buffer areas around Taroba with positive results leading in some instances to the upgrading of certain areas to be added to the park area affording these areas park protection. These camera trapping exercises are extremely useful in demonstrating active wildlife corridors between parks. Whilst SIT works closely with the Forest Department and local Park Directors on various programmes occasionally it becomes necessary to hold the government agencies to account if SIT feels that the environmental considerations are not being properly accounted for. SIT, through CAT, will collect the relevant data and collate this in relation to the relevant laws and regulations and make the case for a different approach to be taken or extra mitigating plans to be put in place. A number of successes have been achieved in relation to illegal fishing, river water management, road, rail canal and mining issues. Attending conferences can often provide a good opportunity to lobby government officials. SIT have been involved in the collection and collation of scientific data to aid in conservation measures around the Satpuda Landscape. Data has been collected which has demonstated ways of reducing the risk of tiger attacks on humans which has then led to an educational campaign on how to minimize personal risk for those villagers that do enter the park areas. In Taroba this science-based educational programme has reduced mortality figures from approximately one person per month to approximately one per year. 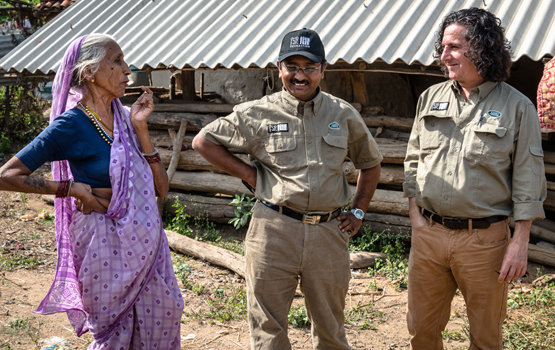 Each year, the Born Free Foundation offers a SIT Conservation Hero Award to a grassroots conservationist working to protect tigers and their habitat in Central India. The award is for a small monetary amount to assist with the person’s tiger conservation work and as a mark of recognition for the particular contribution that person has made. SIT has an ongoing programme of land management improving and making safe for wildlife land primarily in the buffer zone. Initiatives are run via Corbett Foundation and other partners such as 5,000 tree sapling planting in the Khana-Pench and Bandhavgarh-Sanjay-Dubri wildlife corridors, the distribution of high-yielding milch fodder for cattle to avoid forest grazing and the fencing off of water wells. 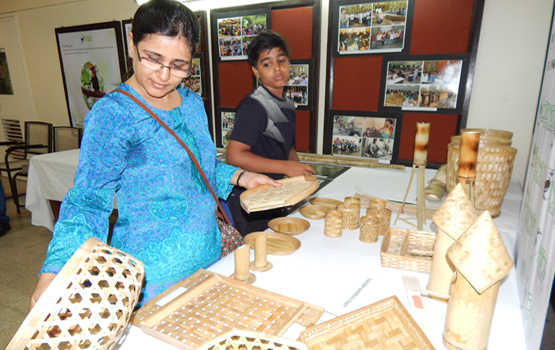 A number of SIT partners have run a variety of skills development initiatives giving local villagers new ideas and training in manufacturing goods for sale. Each year Saving India’s Tiger partners meet up close to one of the Satpuda Landscape parks to discuss progress against objectives and to share ideas and best practice. These events are always well attended and SIT takes the opportunity to invite along local Field Directors and members of the Forest Department as well as others involved in conservation initiatives. poonam harsh intro rotated from Saving India’s Tigers on Vimeo. Tigers are under threat from all sides, including consumer demand for tiger parts and products. SLTP Partner Save Wild Tigers produced this ad which has reached viewers all over the world. SWT_60_V02 from Saving India's Tigers on Vimeo.